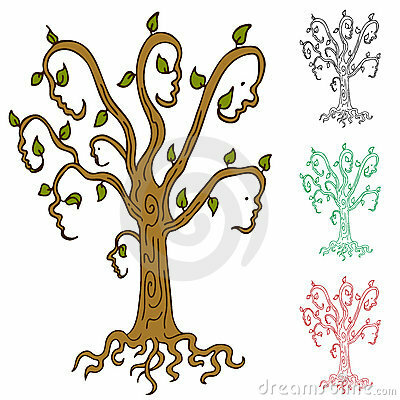 An abstract image representing a family tree. Winter landscape. The cat on the threshold. A lot of snow. Waiting for the hosts. Coldly. Hunger. Monkey family. Three brown monkies sitting together with closed eyes. Watercolor illustration. Peccary family near the river in the jungle. A tropical forest.